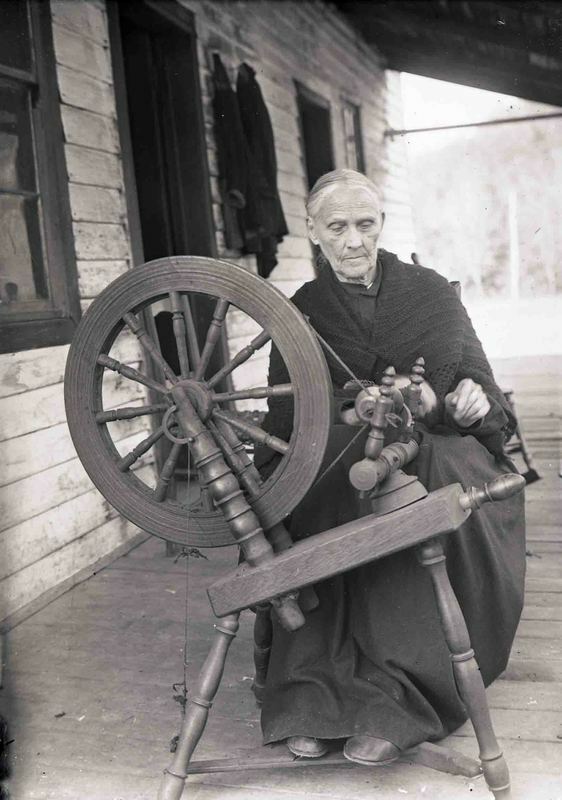 Mrs. Thomas spinning at a flax wheel, Mt. Pisgah, North Carolina, ca. 1915. Flax wheels are operated with a foot treadle and can be used to spin wool or flax.